How to request access to other people's AccuRanker accounts from your own. 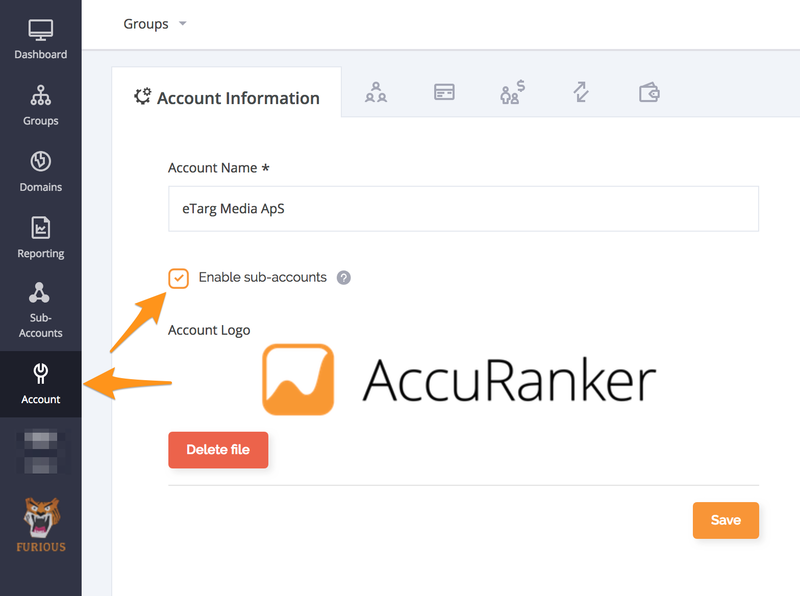 In AccuRanker you can gain access to different people's accounts (with their permission). This comes in handy for agencies that have clients with an existing subscription. Go to "Account" and check mark "Enable sub-accounts". 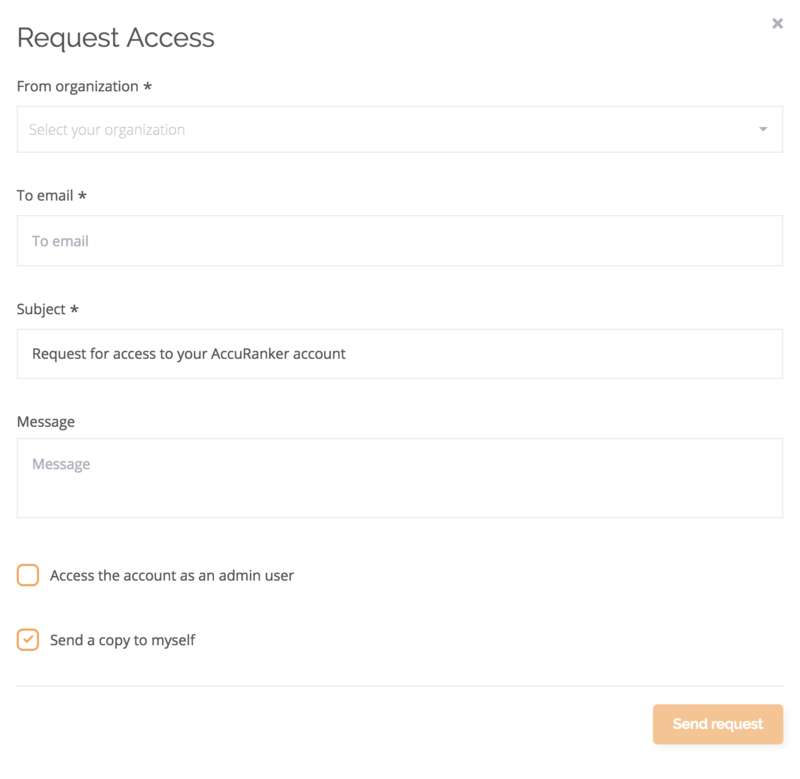 Go to the new "Sub-Accounts" menu, and click on the button labeled "Request Access to another account". A menu comes up, for you to fill in the details. Beware that the email you enter, has to be connected to an existing AccuRanker account. If you want create a new sub-account, follow this guide instead. Once the request has been sent, the account owner should receive an email, confirming your request. Meanwhile you can keep an eye on all the requests you've sent out, by clicking on "Accounts Requests". Once confirmed by the account owner, you can now access the account in the "Sub-Accounts" menu.